Lucas has always been an outdoors boy, he is in his element out in the open air and loves to go adventuring and exploring. When he was younger we would be out nearly every day, whatever the weather and everything was new and exciting to him. Unfortunately this year he has mostly had to restrict his exploring to the garden but now the nicer weather is here we are getting out a little more. I’m lucky to live close to a lovely park which I try and get the boys to a couple of times a week. We don’t get to go much further and I sometimes worry that Lucas will become bored but everytime we go he seems to find new things to enjoy. We always start off with the playground then we go for a walk round the lake, stomp on the molehills, spot the ducks, the swans and her signets, the moorhens sitting on their nests; this can last for quite a while with an inquisitive two year old. Sometimes we’ll go up the the trampoline or visit the quarry garden. 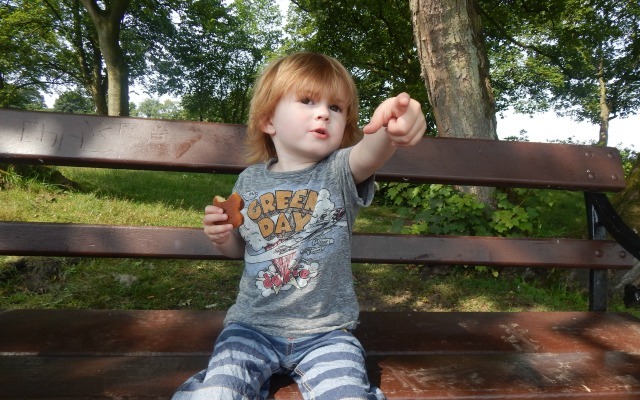 This week we just sat and had a snack near the ducks, as we started to head for home Lucas found a few sticks and started showing off his favourite swashbuckling pirate moves (as much as I try to play Harry Potter it is always pirates!). His eyes lit up as he spotted a giant stick; he started swishing it around like a sword and dragging it up and down all the paths. 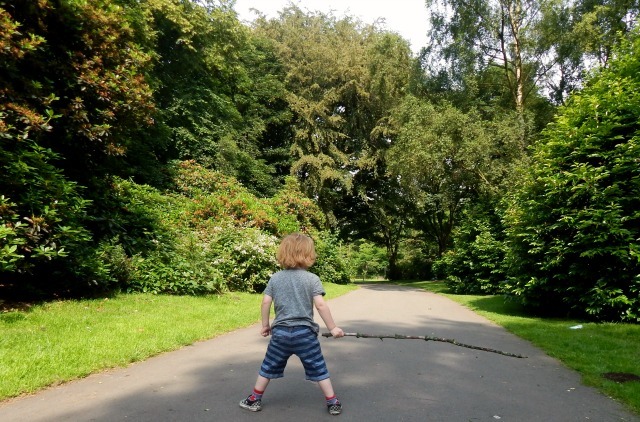 I love how he can make our ordinary walk into his own imaginary adventure, he see’s something new everytime we go and can make a game out of everything. I love to just sit back and take it all in, listen to him chatter about things and see him run around being a pirate. Getting outdoors always brings out the best in him and soon he’ll be leading his two little brothers on adventures too. After all this fun when I asked him to tell Daddy what we did at the park he told him about the nettle sting he got on the way home whilst clucking at the chickens! It’s amazing how a simple trip to the same park is so much for them isn’t it? They just seem to have the best time ever! Love your photos. He looks like he’s having a really great time. 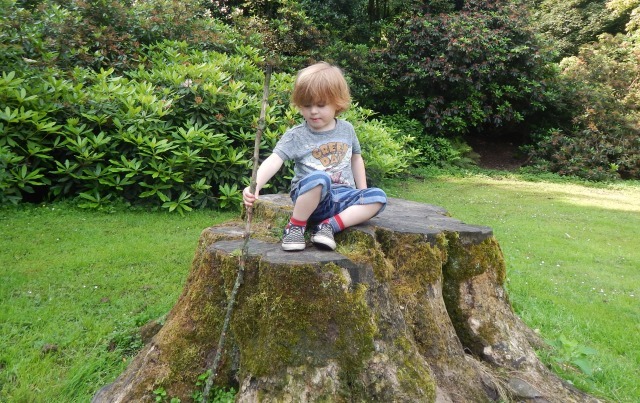 Children and sticks – the imaginative fun they have! It’s lovely how children can see an adventure anywhere and make their own creative fun too. 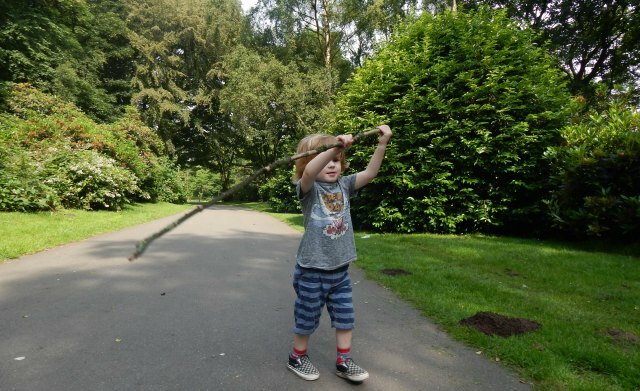 It looks like Lucas had a wonderful time at the park and managed to find himself an impressive stick too. Thanks for linking up and sharing with Country Kids. Lovely post,and some fab pics of Lucas. Arthur is exactly the same way, wants to be outside ALL the time I love it!! It really will be no time at all before all three of your lovely boys are off on swashbuckling pirate stick adventures together!!! I adore his hair! 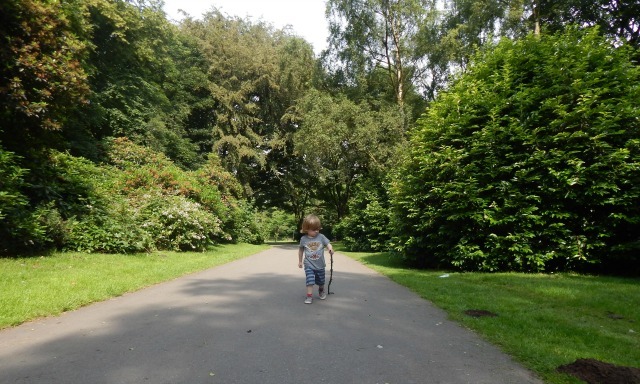 It’s so great how much he loves being outdoors and how big his imagination is!